Kansas City’s culinary revival has put it on the map as an adventurous dining destination. Yet it remains as rooted as ever in its reverence for steakhouses, from casual joints to fine dining options—each a testament to the city’s past, present and future food culture. Stock Hill: Situated just south of the Country Club Plaza, this high-end steakhouse touts an excellent selection of steak cuts and gourmet sides, all in a jaw-dropping setting. Rye: Located in both Leawood and on the Plaza, Rye’s elevated comfort food menu includes hand-selected beef cooked over white oak—plus a soup or salad and side with each choice. Swing by on Mondays for their popular “Steak Night” special. 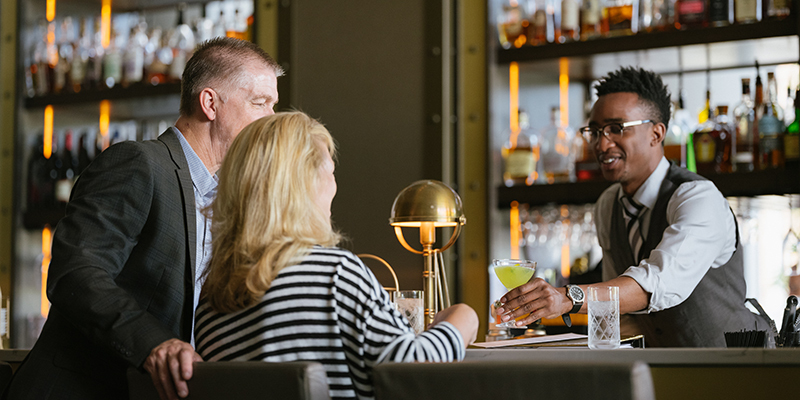 801 Chophouse: In between rides on the KC Streetcar and nights out on the town, settle down to a fine-dining experience at this Power & Light District steakhouse. 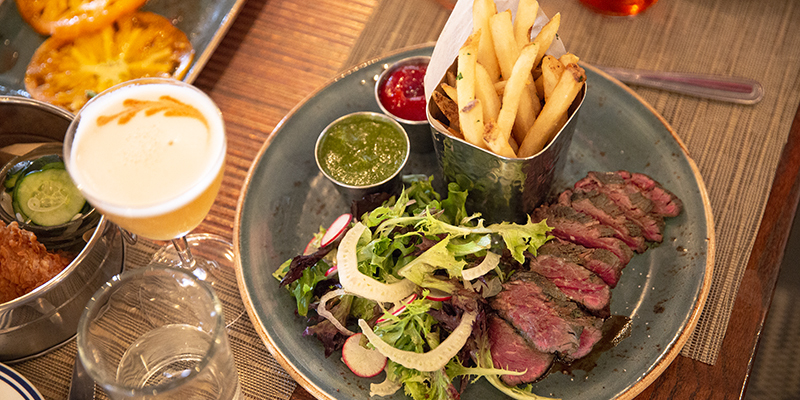 ’37 Steak: Whether heading to the casino for a full evening of table games and slots or celebrating a special occasion, ’37 Steak is the premier dining option at Harrah’s Casino and Hotel. J. Gilbert’s: Nestled in Overland Park, the extensive offerings at J. Gilbert’s pair craft cocktails with wood-fired steaks and delicious add-ins to amplify your meal, as well as a three-course, prix-fixe option for interested diners. 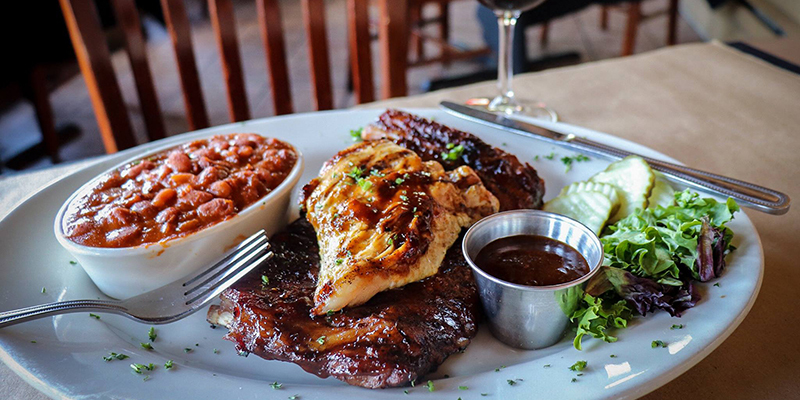 Golden Ox: This steakhouse staple was revived in 2018 and resides in the West Bottoms, featuring cuts of all styles and sizes, including the famous Kansas City strip, which first debuted at the original Golden Ox. The Majestic: Live jazz and dry-aged beef make for the perfect Kansas City combo at this renowned Downtown spot with historic roots. 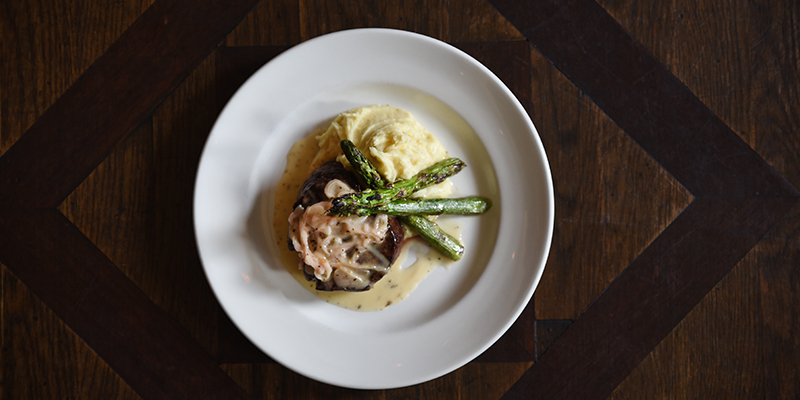 Plaza III Steakhouse: Originally founded on the Country Club Plaza and since relocated to Overland Park, this legendary name totally rejuvenated its offerings for its next chapter. 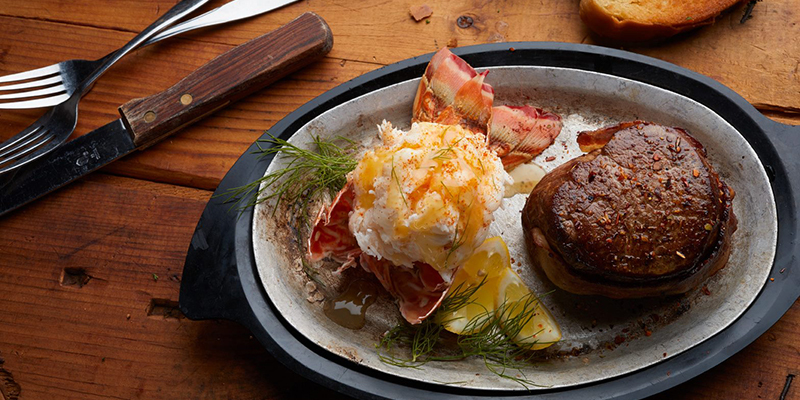 Pierpont’s at Union Station: It’s hard to beat a meal at this classy restaurant that thrives on classic steak and seafood tastes—and resides in KC’s beautiful Union Station. JJ’s Restaurant: Founded in 1985 and located on the west end of the Plaza, this chic restaurant is perfect for pre- and post-shopping, weekend trips to KC and special date nights. Jess & Jim’s Steakhouse: Based in Martin City, Jess & Jim’s first came onto the Kansas City culinary scene in 1938 and has since racked up countless commendations, including being named one the 10 best steakhouses in the world by Yahoo. 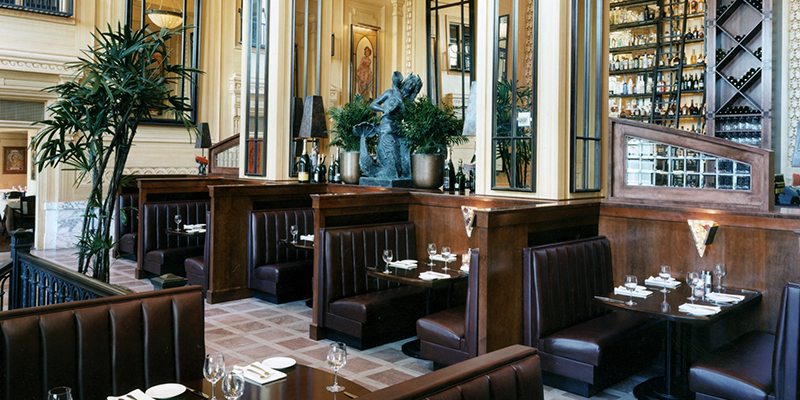 Hereford House: With four locations across the metro and a more affordably priced menu, Hereford House is the ideal option for delicious steaks without the fuss of a fine dining experience. Anton’s: Don’t be fooled by this unassuming taproom in the Crossroads Arts District—its steak selection is no joke, thanks in part to the in-house butcher operation that hand-cuts steaks to order. C. Frogs: Part barbecue restaurant, part steakhouse, C. Frogs offers a little something for everyone in a hip, approachable environment in Prairie Village.